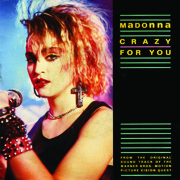 It’s funny to think now that this single – released at the end of the Eighties – was seen as a big comeback single for Madonna. She’d had her teenage disco era, she’d had her run of early movies (some brilliant, some dire), and now it was time to grow up and cater for her audience’s more sophisticated, more adult tastes. She certainly did that, incorporating everything from a gospel choir to a dramatic church-baiting, Pepsi sponsorship-scuppering video. Lush, orchestral, dramatic – melodramatic, even. All Of My Heart was all of these things. But its power was as much about what you didn’t hear as what you did, like that pause before Martin Fry sings the title at the first chorus, and how that pause gets momentarily longer and longer with each chorus. 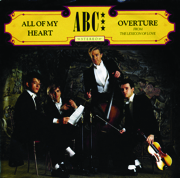 What’s more, B-sides don’t get much lusher than the luxurious Overture, a four-minute orchestral medley of the entire The Lexicon Of Love LP. This was a number 10 hit in the UK in 1981, propelled there by its massive success in the US, where it occupied the number-one spot on the Billboard chart for nine weeks straight. 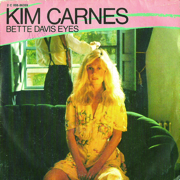 Carnes never managed to follow up its success over here (and certainly didn’t better it in the US), which makes Bette Davis Eyes a bona-fide one-hit wonder. We also have it to thank for inspiring Half Man Half Biscuit’s hilarious response, Dickie Davies Eyes. Dance music owes a big debt to Freeez. As far back as 1983, the Londoners were releasing electro-jazz-funk tracks with B-side dub mixes that should get referenced far more these days than they do. 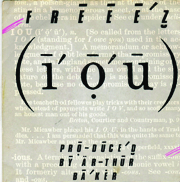 The UK number 10 single Pop Goes My Love/Scratch Goes My Dub is virtually forgotten but its predecessor, I.O.U./I Dub U, produced by Arthur Baker, remains an international disco classic, having reached the top of the Billboard dance chart in the US. 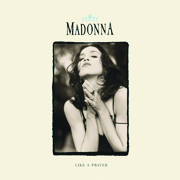 The Matthew Modine movie Vision Quest may now be lost in the mists of time but this, the first single from its soundtrack, was a turning point for Madonna. Pre-Crazy For You, she was a fly-by-night disco queen, but this ballad showed an emotional depth that no one had quite anticipated. Funny to think now that, when it was released, Madonna didn’t have the clout to get both sides of the single – the flip being given to Berlin’s No More Words.